Koko, the beloved western lowland gorilla who famously learned to communicate through sign language, has died in her sleep at the age of 46. 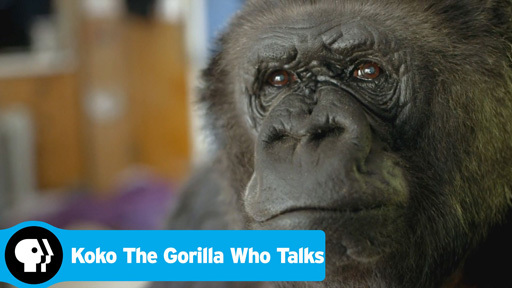 Koko was believed to have had an IQ of between 75 and 95 and could sign more than 1,000 words. The average IQ of a human is around 90 to 110. Scientists say she also understood spoken English. “Koko touched the lives of millions as an ambassador for all gorillas and an icon for interspecies communication and empathy. She was beloved and will be deeply missed,” the organization said in a statement. The western lowland gorilla died Tuesday at the foundation's preserve in California's Santa Cruz Mountains. Born at the San Francisco Zoo in 1971 on the Fourth of July, Koko was named “Hanabi-ko,” which means "fireworks child” in Japanese. Animal psychologist Francine “Penny” Patterson began to teach Koko sign language a year later while she was a graduate student. Patterson, along with biologist Ronald Cohn, eventually would go on to help establish The Gorilla Foundation in 1986. "Koko’s capacity for language and empathy has opened the minds and hearts of millions," the foundation said in its statement.